In 1806, as Lewis and Clark were wending their way homeward, the Governor of the Louisiana Territory, James Wilkinson, summoned his protégé Zebulon Pike to his office. Captain Pike had proven himself during the previous year by leading an expedition to discover the source of the Mississippi River. Now Governor Wilkinson had a much more challenging assignment: he tasked Pike with leading an expedition into the west, “to ascertain the direction, extent and navigation of the Arkansas and the Red River” – the presumed borders of the recently acquired Louisiana Territory. Ofﬁcially, Wilkinson cautioned Pike that this mission would bring him in close proximity to New Spain, and that he should do his utmost to avoid provoking the Spanish. The southwest border of the territory was ill-deﬁned and unexplored, and the few maps that existed were notoriously inaccurate. If the Spanish perceived Pike’s expedition as a military incursion, his presence could easily instigate a war. But Wilkinson had unofficial instructions for Pike as well. He ordered Pike to determine the strength and disposition of Spanish forces to the west and south of the newly — and vaguely — drawn borders. To do so would require penetrating into New Spain, into modern day Colorado, New Mexico and Texas. The only way for Pike to avoid upsetting the Spanish authorities while successfully spying on them would be to evade detection. Pike may have felt this to be possible — after all, the west was a vast, wild expanse, where he was much more likely to encounter Native Americans than patrolling Spanish soldiers. What Pike didn’t know, however, was that the same man who had just charged him with this sensitive and dangerous mission, was himself in the employ of the Spanish. Contemporaries called Governor Wilkinson a “vile invidious man,” a “mammoth of iniquity,” and “the most ﬁnished scoundrel that ever lived” — all this before he was known to be an agent for the Spanish! No sooner had Wilkinson given Pike his marching orders than he sent word to his secret employers. The Spanish would be expecting Pike. Good fortune and Pike’s steady leadership guided the expedition to safety, and they made camp at the head of a river, which they presumed to be the Red River — or so Pike claimed, when the Spanish did ﬁnally catch up to them. The commander of the 100-strong patrol informed Pike that they had made their camp not along the Red River, but along the Conejos River branch of the Rio Grande, in Spanish territory, and that he was under arrest. They took Pike and his men to Santa Fe for questioning, where Pike maintained that he had entered New Spain entirely by accident. His maps and papers were conﬁscated, but he managed to retain his diary and some of his journals by hiding them in his men’s gun barrels. From Santa Fe they were escorted to Chihuahua, and then through the Mexican province of Texas by way of San Antonio. Pike could not have asked for a better opportunity to complete his secret assignment — this route through Texas allowed him to observe New Spain’s population, trade, industry, and geography, and to assess its military might. Once home, he had to defend himself of charges of conspiring with Wilkinson. But he soon absolved himself of all involvement with the slippery governor, and attended a personal interview with President Thomas Jefferson. He began preparing his papers for publication. 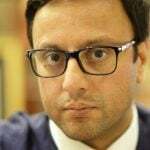 The conﬁscation of many of his papers forced him to reconstruct large passages from memory. 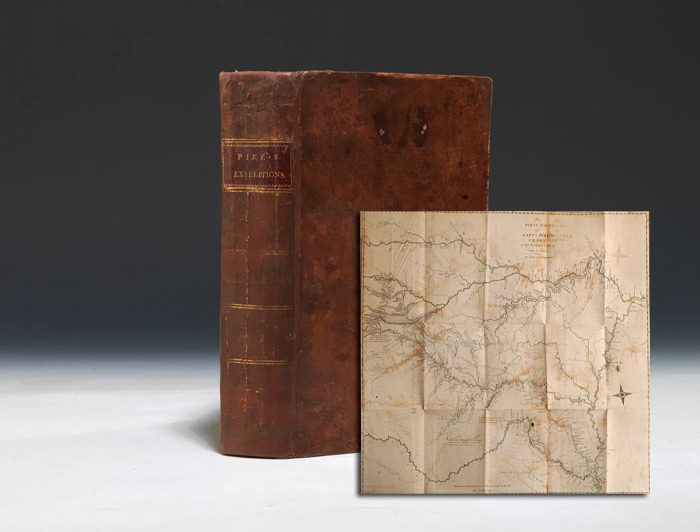 His 1810 Account of Expeditions…is an invaluable primary account of the ﬁrst U.S. expedition to the Southwest and the second epic expedition into the Louisiana Territory, with engraved maps widely considered milestones in the mapping of the American West. John Jenkins, in his landmark survey Basic Texas Books, states that “Pike’s narrative marks the beginning of serious American interest in Texas.” The following year in London a new edition was prepared by Dr. Thomas Rees, in a larger quarto format and with a much better arrangement. 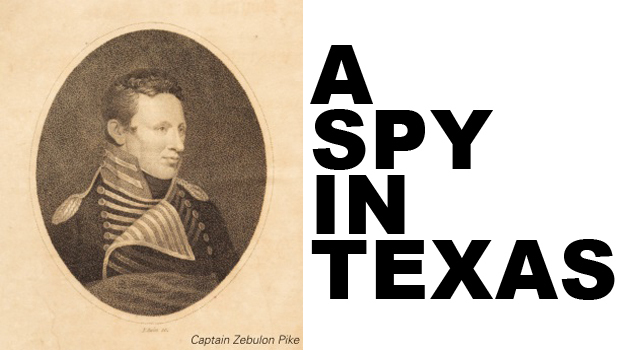 Today both the American and English editions are highly sought-after by collectors, particularly by those with an interest in Texas: the daring explorer-spy Zebulon Pike’s book stands as the ﬁrst substantial American writing on Texas.